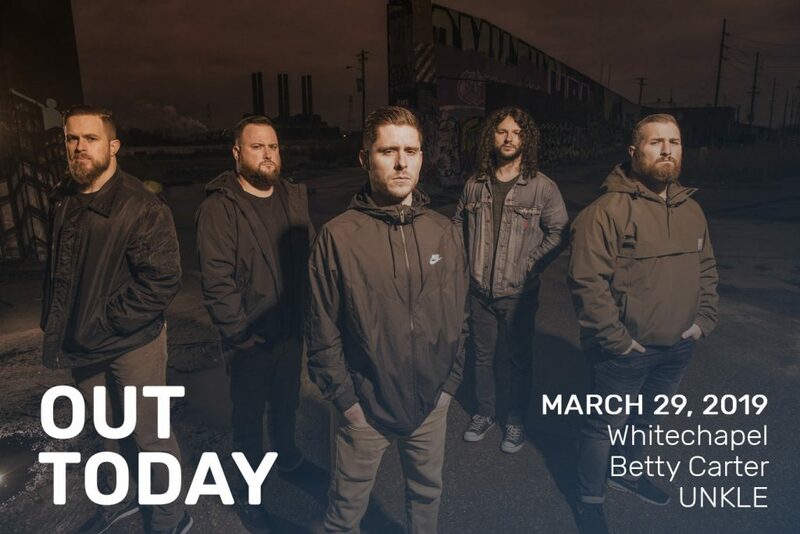 Metalcore legends Whitechapel return with a refreshed sound. The Metal Blade group drop, The Valley which showcases the peeks and slopes of the multi-dimensional band. Whitechapel dig deep to pull from the past of lead singer and lyricist Phil Bozeman. While this is may be the farthest from their original guttural scream, the album is still as dark as ever in both subject matter and thoughtful melodies. Disturbingly grim, tracks like “Hickory Creek” below express the range of Whitechapel while remaining true to their ‘core’ audience throughout the full album. Dive deep with The Valley﻿, out now. The late Betty Carter lives on through her art with the release of The Music Never Stops via Blue Engine Records. The live album was originally recorded 27 years ago but hasn’t been released until now. The masterful jazz vocalist took the stage at age 61 for her performance presented by Jazz at Lincoln Center. Despite the booming backing of a big band including strings and rhythm, Betty shined like the star she was, using her own instrument: her voice. Every note and breathe hits the mark effortlessly. Travel back to the magical night at Aaron Davis Hall to experience the music New York Times’ Stephen Holden described stating that “Nobody shapes a note the way she does…slowly turning it from a rich hornlike timbre into something bitingly twangy, then softening it again.” Remember, no matter how many years have passed, The Music Never Stops. The second installment of a three-part series, UNKLE follows The Road: Part I with The Road: Part II / Lost Highway. Inspired by his recent gig on Soho Radio, James Lavelle a.k.a UNKLE tells NME, “It wasn’t about trying to make people dance in a nightclub. It was a breath of fresh air, and about playing a more eclectic mix.” This second album is intended as a musical road trip, with a somewhat slow heavy tempo and consistent beats that are familiar yet simultaneously abstract. Listen closely to the new album via Songs for the Def, and hear notable featured musicians including Jon Theodore (Queens of the Stone Age), Mick Jones (The Clash), Tom Smith (Editors), and Mark Lanegan. Stay tuned for new music next Friday and check out The Orchard Instagram (@the_orchard_) for even more independent releases, Out Today.